Recent LVC lab publications (Summer 2018)! 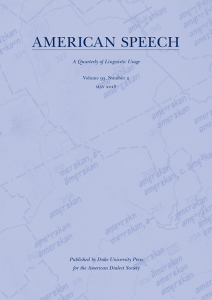 The first two issues of American Speech in 2018 feature several members of the LVC lab! 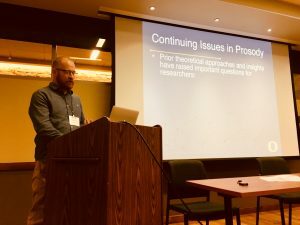 The February 2018 issue includes Jason McLarty’s article “African American Language and European American English intonation variation over time in the American South“, which is work that comes out of his second qualifying paper at UO. 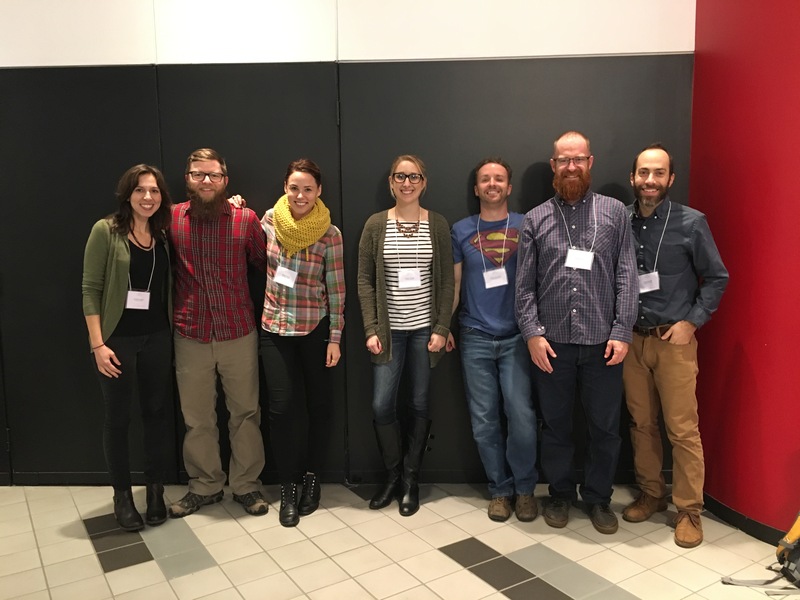 In the May 2018 issue, Charlie Farrington, Tyler Kendall and Valerie Fridland published “Vowel dynamics in the Southern Vowel Shift.” This work comes out of Tyler and Valerie’s production/perception study, and was Charlie’s second qualifying paper. Appearing in the same issue, Charlotte Vaughn, Tyler Kendall and Kaylynn Gunter’s article, “Probing the social meaning of English adjective intensifiers as a Class Lab Project” was included as part of the annual Teaching American Speech section. 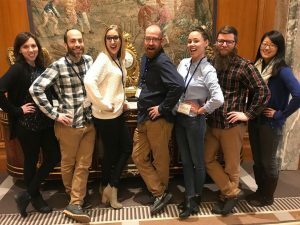 And lastly, Charlotte and Tyler’s paper, “Listener sensitivity to probabilistic conditioning of sociolinguistic variables: The case of (ING)” will be included in the December 2018 issue of the Journal of Memory and Language. It is available online now! For more information, see our publications page! This entry was posted in Uncategorized on September 14, 2018 by Charlie Farrington. 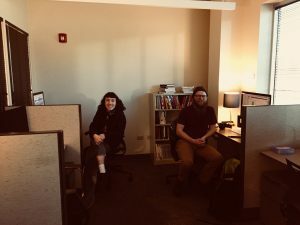 LVC lab has moved to 1600 Millrace Drive! After more than six years, on Wednesday December 6th, 2017, the LVC lab bid our old home, at the Center for Medical Education and Research, adieu. 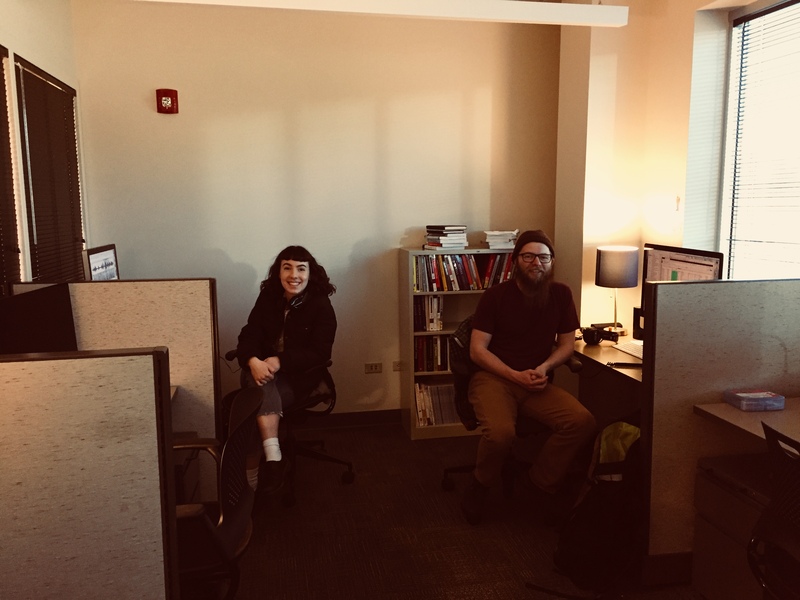 Along with all the other labs in CMER, we moved to the third floor of 1600 Millrace Drive, part of Riverfront Research Park (directions). Stop by the lab if you’re in the area. This entry was posted in News on December 11, 2017 by Charlie Farrington. Faculty Excellence Award for Tyler Kendall! 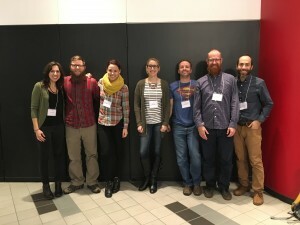 Congratulations to LVC Lab Director Tyler Kendall on winning a University of Oregon Fund for Faculty Excellence Award! To quote from the announcement, “This honor is granted in recognition of the significant impact of your scholarly work and your enduring commitment and contribution to our shared institutional spirit of learning, intellectual inquiry, and service.” Tyler’s work continues to be on the cutting edge of sociolinguistics and related work, and we are happy to see his work being recognized within the university. For more information on Tyler and the other recipients of this year’s award, see this news brief from Around the O. This entry was posted in News on June 13, 2017 by Charlie Farrington.